There’s a photograph of me at my dad’s house taken when I was 12-years-old. I’m wearing a Jurassic Park T-Shirt and purple jeans (my fashion sense was well-developed even back then, you see) and a pair of hired white ice skates. 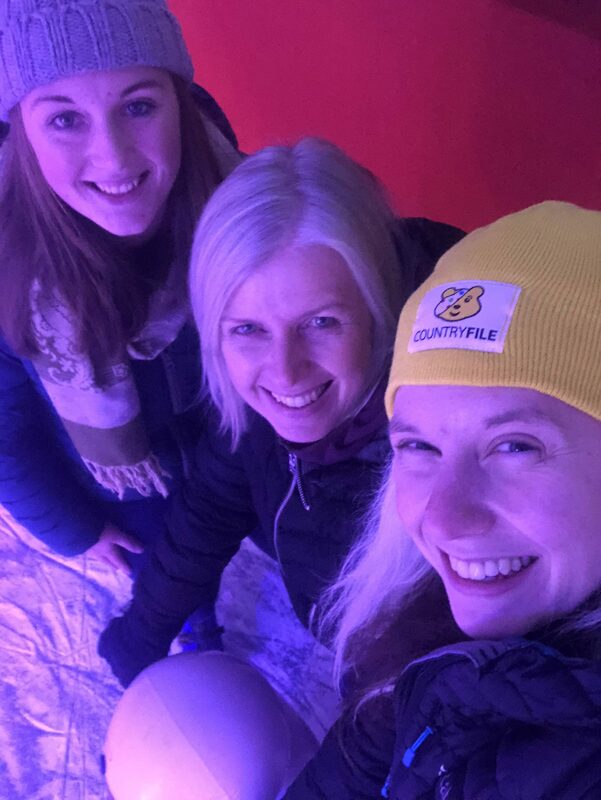 It was my birthday and, to celebrate it, I had opted to go to the ice rink in Deeside with two of my friends. One of them, I recall, had been ice-skating a few times and I myself had tried it before too at other friend’s birthday parties. Yet in the photograph I am steadfastly gripping the wall, scared to let go in case I should fall. Between the ages of 10 and 13 (when it seemed everyone in my school decided to celebrate their birthday the same way) it was always the same. I’d spend a couple of hours edging myself around the rink, clutching a friend or the wall and never daring to venture away from it. 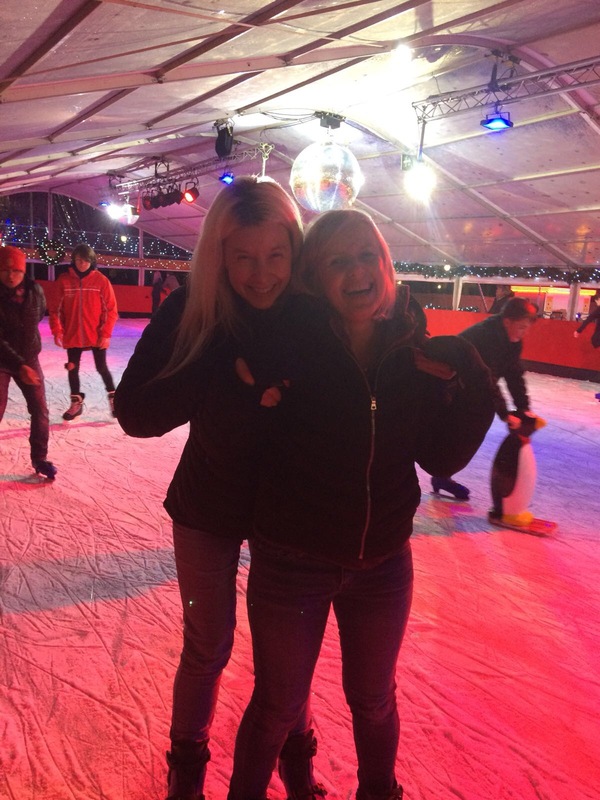 Despite my young age, I was acutely aware of the risk of tripping up, and didn’t want to look foolish to the other skaters. On the day that particular photograph was taken, my other friend, Rica, who had never once been skating before in her life, leapt straight onto the ice without hesitation. After she traversed just centimetres grabbing the wall she opted to let go and try her luck out in the open. She fell several times, but each time she did, she laughed, picked herself up, and tried again. When my dad called us in that day, as I pulled myself around to the exit, I watched in awe as Rica glided smoothly past me, looking so comfortable and confident. I wanted to be like that, really I did, but I just couldn’t force myself to take the same risk. 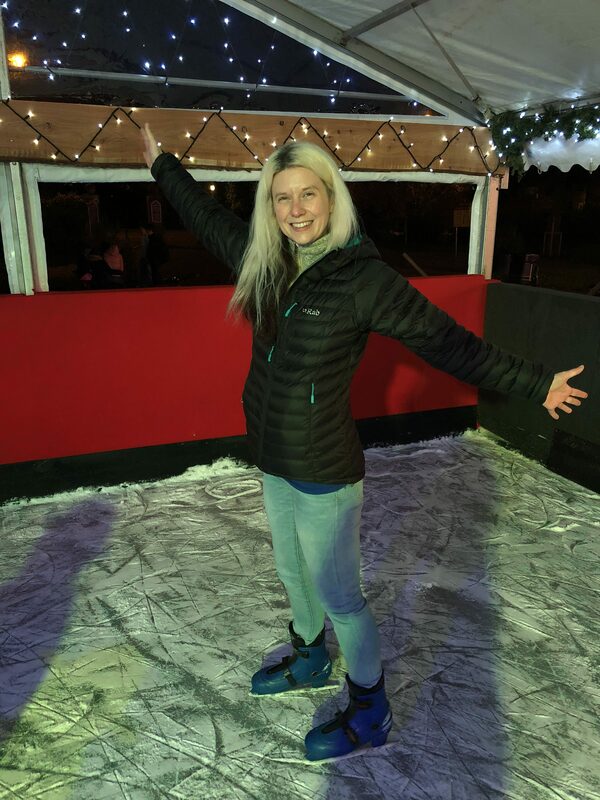 This year, a few weeks before Christmas, I managed to bag a couple of free tickets to the temporary ice rink in Windsor. I had an urge to go and managed to persuade two friends at work to come along too – Sue and Ellie. Though it had been years since I did it, as soon as I put my feet into the hired boots and wobbled my way over to the rink, all the same feelings I had when I was a child came flooding back. The excitement of stepping out onto the slippery ice, coupled with the fear of the pain I might suffer if I were to fall. As we stepped off the solid, grippy floor, one of the stewards offered me a snowman – a handy sledge-like device that you can push in front of you to help you move around without fear of falling over. I instinctively said yes, as did Sue. We pushed them out onto the ice and chatted as we moved slowly around in a shuffle. Ellie, meanwhile, declined one. Instead, despite not having skated for years, she slid out straight away, without hesitation, away from the security of the wall, with no novelty stabiliser to help support her. I was in awe. Sure, she slipped a couple of times, but she kept on going anyway. Meanwhile, I continued to slowly, safely and without incident, silently shimmy around the rink in an endless uneventful circle. As I did, more confident skaters shot past me. Many were teenagers, showing off to friends with little care whether or not they stayed upright. One boy in particular pelted past me several times and in nearly every instance ended up crashing into the wall, another skater or slipping onto his bottom, hard. Yet each time he got straight back up, and did it again. While I didn’t feel the urge to be as reckless as him, I couldn’t help but admire his determination to keep doing it, seemingly without a care in the world. I look to see Ellie wave as she skimmed by me again, wobbling a little, but smiling all the same. It was then that remembered that photograph at my dad’s. The image of me all those year’s ago, gripping the sides, afraid to head out on my own without any support. It was a while ago now. Since then I’d changed so much, done so much, seen so much, experienced so much – yet here I was, still gripping on to stability and solidity, unable to make myself take a chance that if I left it, I would be able to stand tall on my own two feet, alone. I did another lap, and listened as the call came for the last five minutes. All at once I couldn’t bear it. It was time. Time to let go of the reassuring snowman and trust that I would be ok. I thrust my friendly, smiling stabaliser away and gulped as I pushed my foot out in front of me, with no wall to grab hold of either side. Amazingly, as if by magic, I didn’t fall down. Instead I began to glide smoothly across the ice. I felt as though I was flying. I whooshed past her, daring to pick up speed, overtaking some of the teens that had whizzed by earlier. I had never felt so scared, yet at the same time, I’d never felt so free. Of course I didn’t remain that graceful the whole time. I stumbled twice, I skidded once and only just managed to right myself by grabbing hold of a stranger’s arm in a laughable Bambi-esque wobble, but I had done the unthinkable. “Phoebe – you’re skating,” exclaimed Ellie as she caught up with me and I beamed. Soon after Sue joined too, inspired to also take a risk and leave her snowman behind. And so we completed more circuits, surrounded by nothing but air and the faith we could do it. Just as they rang the bell for us to get off the ice, I remembered something. I pulled out my phone and asked Sue to take my photo. It was time my dad updated the image in his picture frame.